Tubular honeycomb cells yield perfectly round light fall-off. 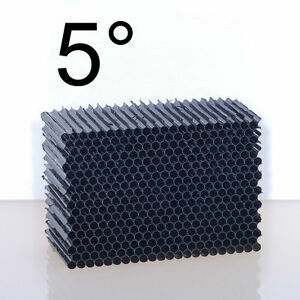 DIY 5° Grid Material 12" X 12". Grid Thickness: 1.50". We kindly ask you to be patient. Cut to size with an x-acto knife. Uniform 3-orientation cell structure creates minimal f-stop loss.